A year after a launch mishap left Orbital ATK’s Cygnus supply ship without a ride to the International Space Station, company officials say the firm’s cargo delivery system is on the verge of a comeback, thanks to privately-negotiated deals with United Launch Alliance and a decision to redesign its Antares booster with new rocket engines. One of two companies under contract with NASA to haul cargo to the space station, Orbital ATK made both moves within weeks of the failure, which occurred seconds after an Antares rocket lifted off from Virginia’s Eastern Shore on Oct. 28, 2014. Orbital ATK paid for two Cygnus launches aboard United Launch Alliance’s Atlas 5 rocket while engineers integrated new Russian RD-181 engines to replace the decades-old Soviet-era AJ26 engines the company blames on last year’s accident. The first four RD-181 engines have been delivered to the United States by Russia’s NPO Energomash, according to Frank Culbertson, president of Orbital ATK’s space systems group, setting the stage for a hotfire test at the Antares launch site in Virginia early next year. Charlie Bolden, NASA’s administrator, told an agency advisory board earlier this year that the resumption of Orbital ATK’s supply flights to the space station aboard the Atlas 5 would be validation of the Obama administration’s strategy to turn over transportation to crews and cargo to the commercial sector. NASA signed a $1.9 billion contract with Orbital ATK in 2008 to carry at least 20 metric tons, or 44,000 pounds, to the space station. The space agency has a similar deal with SpaceX worth $1.6 billion. The government has added more flights to both contracts since the original signatures, and NASA is expected to announce winners in a second round of Commercial Resupply Services contracts in early November. Orbital ATK, SpaceX, Sierra Nevada Corp., Boeing and Lockheed Martin submitted proposals. Bolden argued it was in Orbital ATK’s interests to keep flying, knowing NASA — one of the company’s chief customers — was counting on the cargo services. 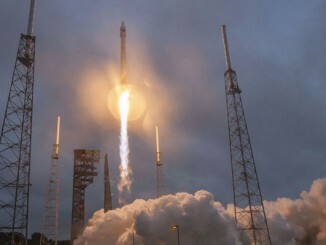 Orbital ATK officials said in the wake of the Antares failure the company was weighing its options to continue flying Cygnus cargo missions, considering two U.S. launch providers and a European rocket company — presumably ULA, SpaceX and Arianespace. The company went with ULA’s Atlas 5, first for one mission and then for a second flight. 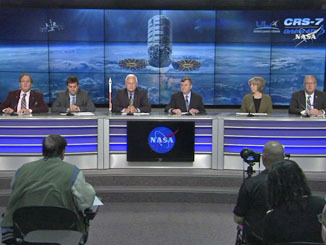 Those missions are scheduled for launch Dec. 3 and March 10. David Thompson, Orbital ATK’s president and CEO, said Tuesday that the company benefited from efforts ULA executives have touted to reduce prices on its Atlas 5 rocket to make it more competitive. When asked whether Orbital ATK saw prices near $100 million in its Atlas 5 contracts, a figure targeted by ULA, Thompson declined to identify the value of the launch agreements. Orbital ATK and ULA expanded their relationship in September with a deal to build solid rocket boosters for the Atlas 5 and the next-generation Vulcan launcher beginning as soon as 2018. The contract covers more than 15 years, Thompson said. After the pair of Atlas 5 flights, the first Antares rocket launch after last year’s crash is scheduled for early May on another resupply flight to the space station, followed by another liftoff in late September or early October 2016, according to Thompson. “Those four (flights) together will substantially complete our cargo delivery commitments under the original CRS contract, then we’ll have three more extension missions under that contract that will take place in 2017 and early 2018, before we hopefully move into the new CRS-2 contract that we’re anxiously awaiting NASA’s decision on in the coming weeks,” Thompson said Tuesday in a quarterly earnings call with investment analysts. The failure report on last year’s rocket crash has not been published — it is not clear if a summary will be made public — but Orbital ATK blames the accident on wear inside one of the Antares first stage AJ26 engines, which were built in the 1970s for the Soviet Union’s N1 moon rocket and imported to the United States in the 1990s. Aerojet Rocketdyne modified the engines for flight on the Antares rocket, and the U.S. engine-maker raised questions whether debris in a propellant tank may be been sucked into the AJ26 powerplant, a failure mode that would leave Orbital ATK at fault. Orbital ATK led the failure investigation, with the final report due for submission to the Federal Aviation Administration. 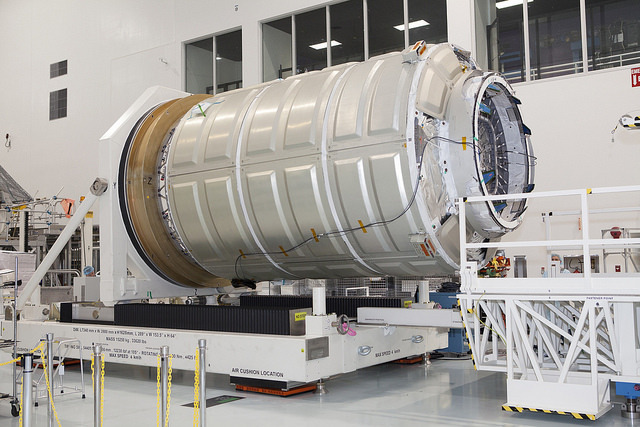 Orbital ATK and its engine supplier resolved the disagreement in September, with Aerojet Rocketdyne paying Orbital ATK $50 million and agreeing to terminate the AJ26 engine contract. Aerojet Rocketdyne said the one-time cash payment would be covered by insurance. 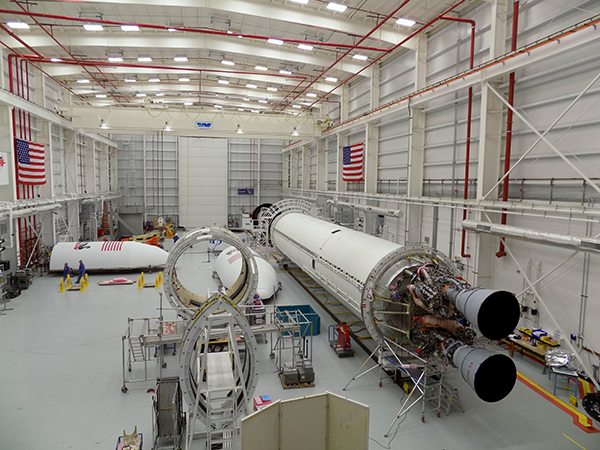 Repairs to the Antares launch pad in Virginia are complete, and the facility has been handed over to Orbital ATK for testing. The Virginia Commercial Space Flight Authority owns the launch pad at the Mid-Atlantic Regional Spaceport, a complex that lies on NASA property at the Wallops Flight Facility. 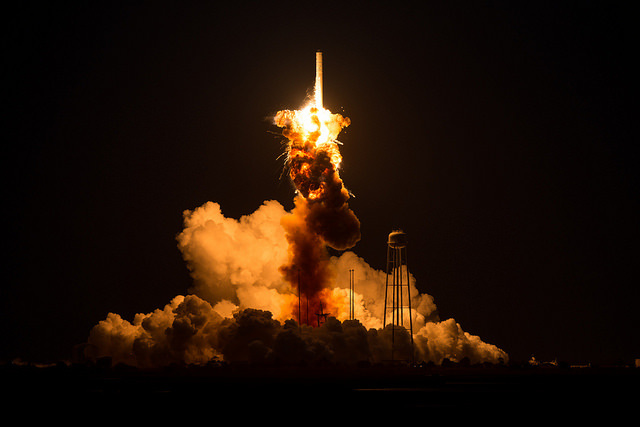 The Antares failure was the first in a series of accidents involving commercial space programs. Three days later, on Oct. 31 of last year, Virgin Galactic’s SpaceShipTwo rocket plane broke apart on a test flight over California’s Mojave Desert, killing the craft’s co-pilot. 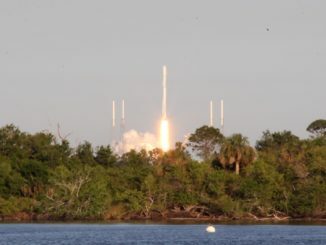 SpaceX’s Falcon 9 rocket disintegrated minutes after liftoff June 28 from Cape Canaveral, destroying the company’s Dragon cargo craft on a supply run to the space station. SpaceX is wrapping up its investigation and targets a return-to-flight in early December, according to company managers.